Warning – do not adjust your Tin Foil Hat! 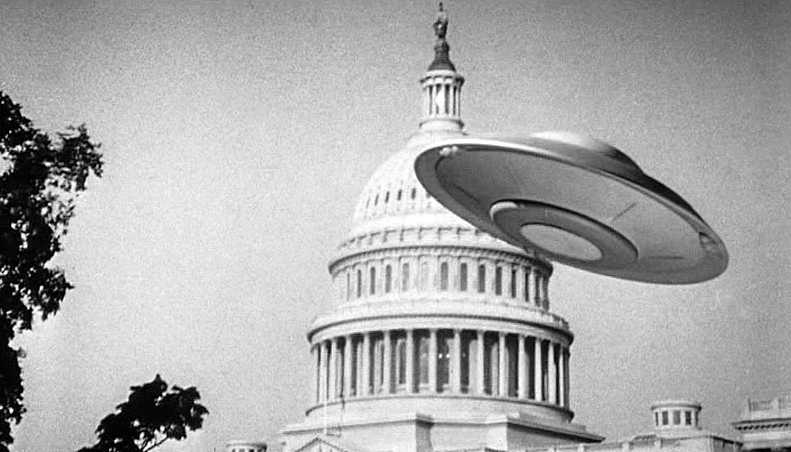 In an uncharacteristic show of candor, the U.S. Department of Defense fessed up to the existence of a five-year, multimillion-dollar program dedicated to investigating “unidentified aerial phenomena” (i.e, UFOs) spotted by pilots and military personnel, according to reports published nearly simultaneously by the New York Times and Politico last week. Dubbed the Advanced Aviation Threat Identification Program (AATIP), the unclassified but highly hush-hush operation that officially “ended” in 2012 was the brainchild of former Senate Majority Leader Harry Reid (D-Nevada) and late Senators Daniel Inouye (D-HI) and Ted Stevens (R-AK), who along with Reid were concerned, not that we were being visited by beings from another world, but rather that other nations were developing high-tech super toys that could pose a security threat to the U.S. 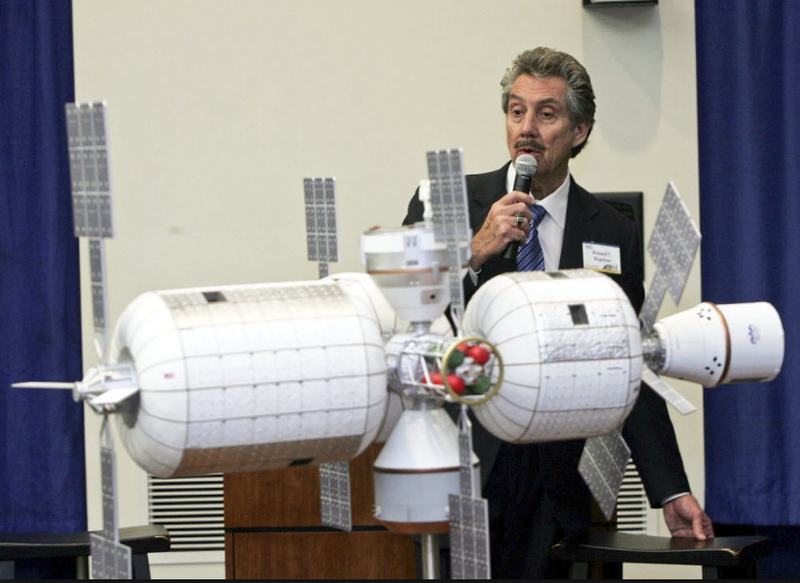 Billionaire commercial space entrepreneur and UFO enthusiast Bob Bigelow. 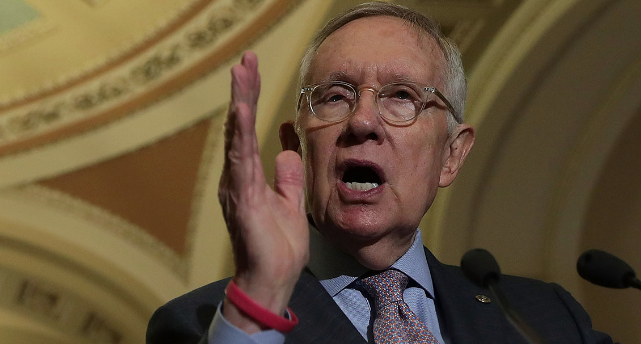 That said, a significant influence on Reid who pushed for the now mothballed program was pal and fellow Nevadian Bob Bigelow, who owns space technology and government contractor Bigelow Aerospace. 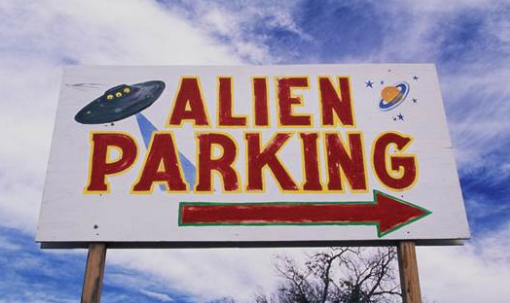 Bigelow, whose firm ultimately received some of the research contracts from the effort, is well known for his outspoken views in which he believes extraterrestrial visitors have frequently travelled to Earth. While the AATIP program was fiscally shut down in 2012, it recently garnered attention because of the resignation this past October of the career intelligence officer who directed the initiative. 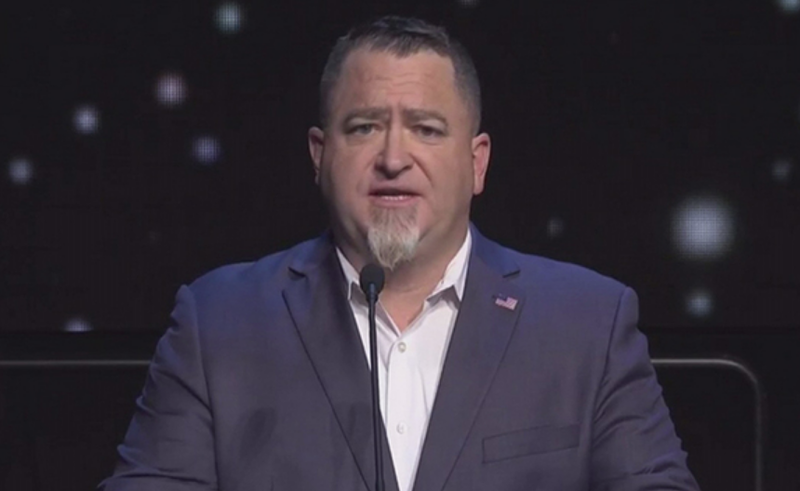 According to Politico, in his resignation letter to Defense Secretary James Mattis, Luis Elizondo complained that the AATIP effort was not being taken seriously by the Pentagon. Former AATIP head Luis Elizondo. 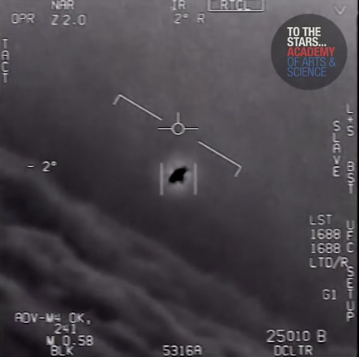 Elizondo, who is now involved in the for-profit company called To The Stars Academy of Arts and Sciences that claims “there is sufficient credible evidence of UAP [unidentified aerial phenomenon] that proves exotic technologies exist that could revolutionize the human experience,” released previously-classified 2004 footage recorded from the cockpit of a U.S. Navy F/A-18 Super Hornet in which the pilots can be heard marveling at a wingless object as it seemed to violate the laws of physics. 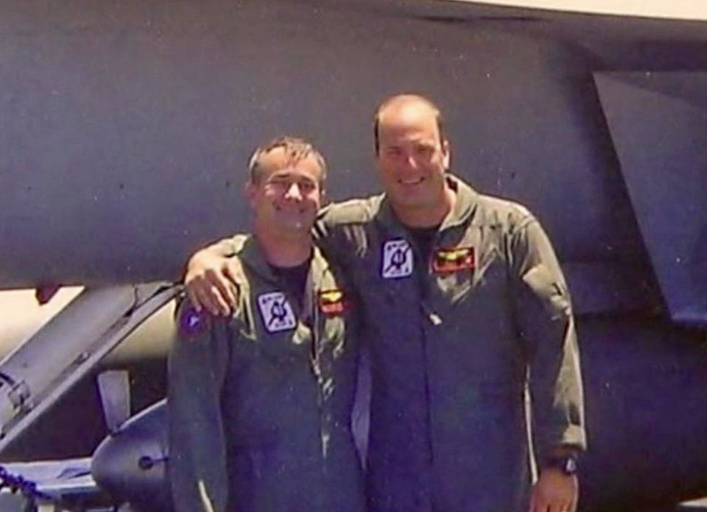 “I can tell you, I think it was not from this world,” one of the pilots, retired Cmdr. David Fravor, told ABC News this week. “I’m not crazy, haven’t been drinking. It was — after 18 years of flying, I’ve seen pretty much about everything that I can see in that realm, and this was nothing close.” “I have never seen anything in my life, in my history of flying that has the performance [and] acceleration,” added Fravor, who witnessed seeing the 40-foot-long wingless “white Tic Tac” that flew at incredible speeds in an erratic pattern. “No aircraft that we know of can fly at those speeds, maneuver like that and looks like that,” ABC News contributor and former Marine Col. Stephen Ganyard commented. 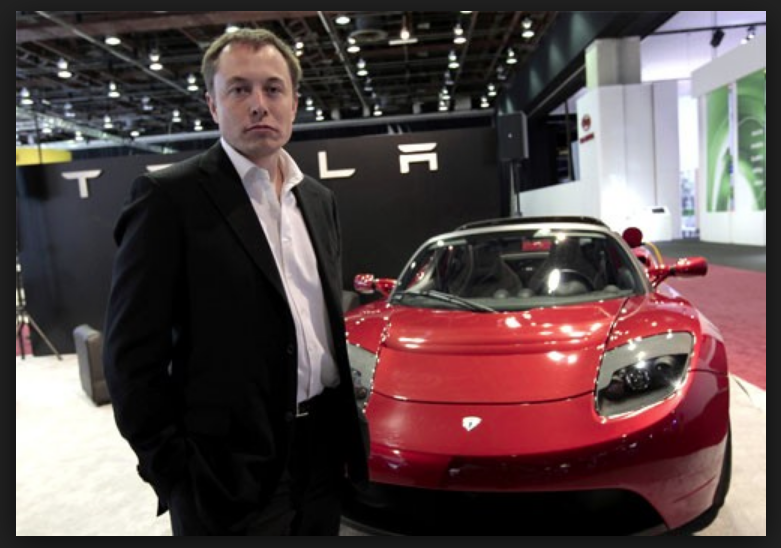 Hi-tech empresario and human mimic Elon Musk had tongues wagging again late last week after tweeting that he plans to blast one of his Tesla cherry red Roadsters atop the first launch of Space X’s Falcon Heavy rocket early next year. While Musk is known as a practical joker, his commercial space company has a history of sending eyebrow-raising choice of payloads aboard its maiden voyages. Although it is most likely the sacrificial coupe will end up in flaming midnight-cherry pieces rather than anywhere near the Red Planet. 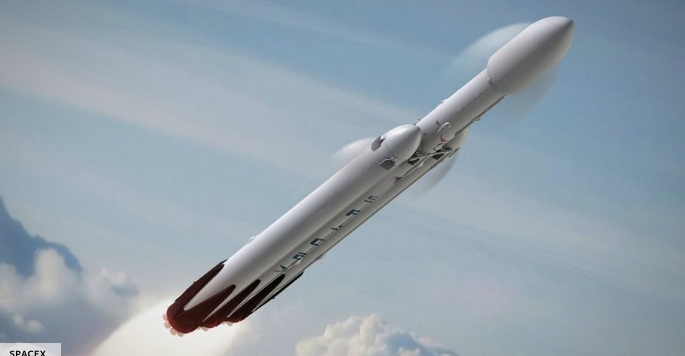 Once fully-operational, SpaceX plans to use its powerful new booster for some lofty goals, including flying two paying customers around the moon as early as next year. 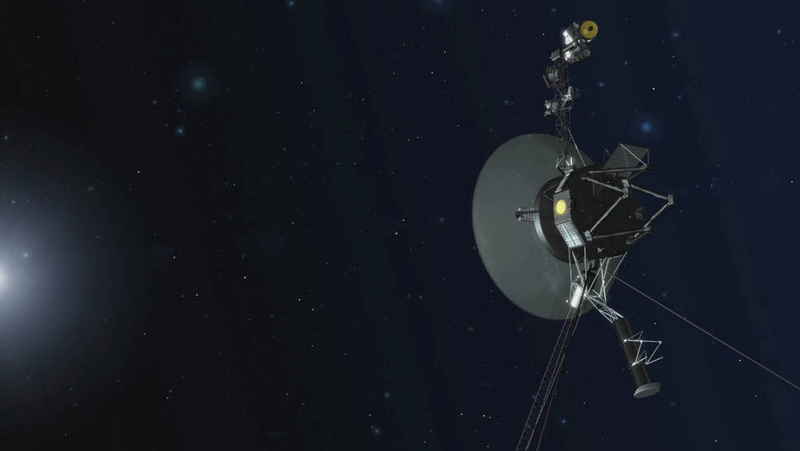 NASA announced last week that it successfully fired up a set of backup thrusters aboard the interstellar-traveling Voyager 1 spacecraft last Wednesday – just 37 years since they were last used. “With these thrusters that are still functional after 37 years … we will be able to extend the life of the Voyager 1 spacecraft by two to three years,” said Suzanne Dodd, project manager for Voyager at NASA’s Jet Propulsion Laboratory, Pasadena, California. Every so often the probe – now more than 13 billion miles from Earth – relies on tiny, millisecond-long pulses or “puffs” from its main attitude control thrusters to ensure the craft’s antenna is pointed towards our planet. However, since 2014, NASA engineers noticed that the primary boosters had been degrading, so after putting a few heads together, the space agency decided to give the orientation job to the mothballed thruster set that had been dormant since 1980. “The Voyager flight team dug up decades-old data and examined the software that was coded in an outdated assembler language, to make sure we could safely test the thrusters,” said Jones, chief engineer at JPL. Following the successful thruster firings, NASA plans to switch to the backup boosters in January. 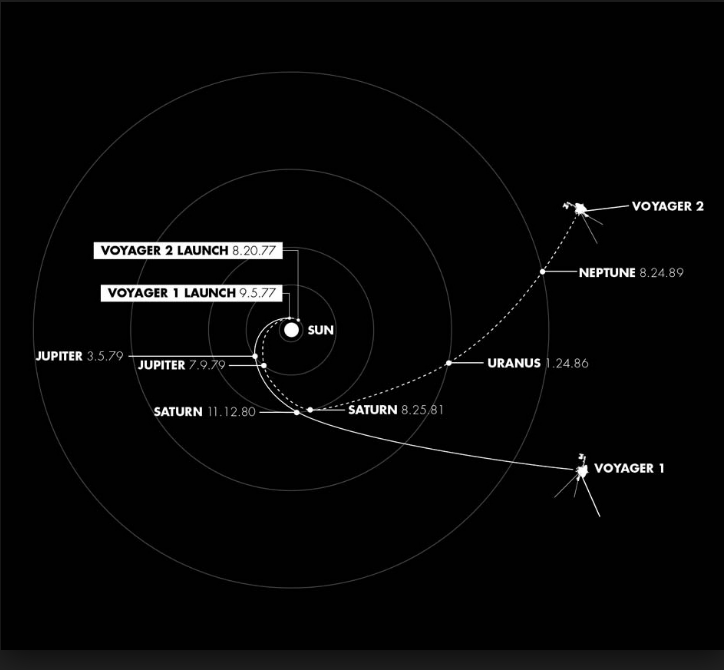 In fact, Voyager 1’s backup thrusters performed so well, the JPL team is expected to perform a similar test on the craft’s twin, Voyager 2, which is expected to enter interstellar space within the next few years. Last night’s full moon was the first of three consecutive “supermoons” that will include an “extra-special” celestial show on January 31, 2018 featuring a total lunar eclipse visible from western North America, the Pacific, and Eastern Asia. The next “supermoon” will occur New Years Day, followed by a “blue moon” happening January 31, which is also the night of the lunar eclipse. 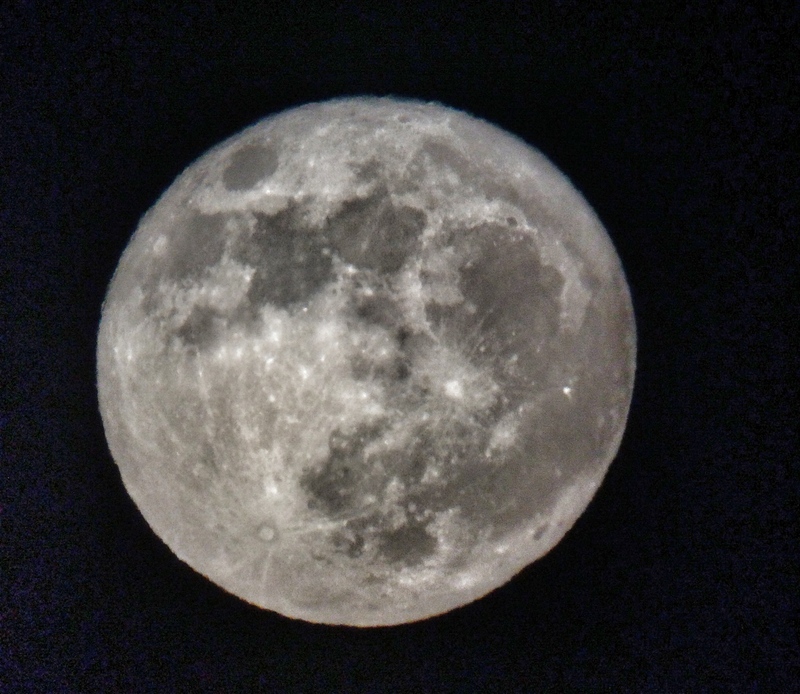 These full moons, occurring when our satellite is at it closest orbital point to the Earth (called perigee), appear up to 14 percent bigger and 30 percent brighter than when the moon is at its furthest point from our planet (apogee). 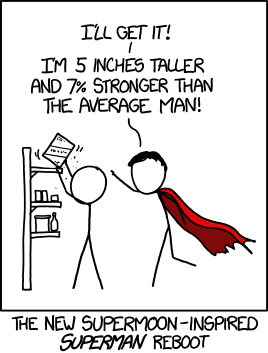 Many thanks to Randall Monroe, xkcd. 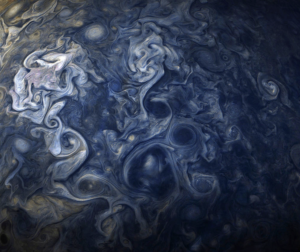 NASA’s Juno spacecraft snapped the above spectacular pix on October 24th, the top image capturing a cloud system in Jupiter’s northern hemisphere when the probe was a mere 11,747 miles above the swirling gases, while the lower photo taken of the gas giant’s southern hemisphere when Juno was 20,577 miles from the planet. 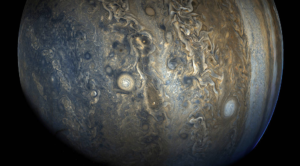 “Citizen scientists” Gerald Eichstädt and Seán Doran processed both photos using data from the JunoCam imager.